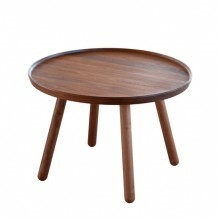 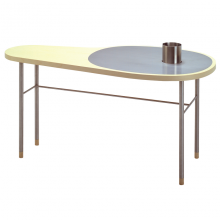 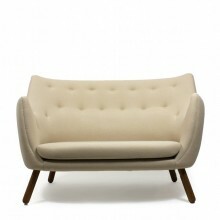 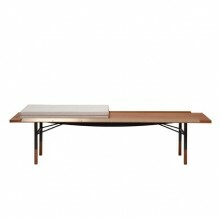 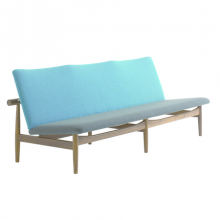 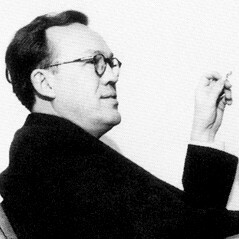 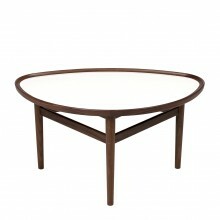 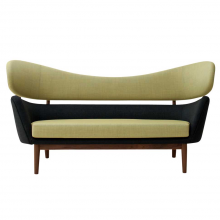 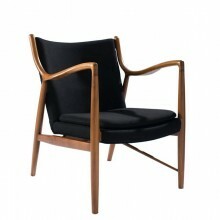 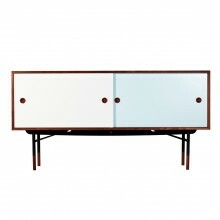 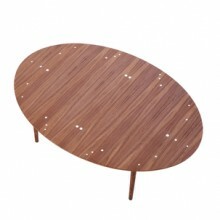 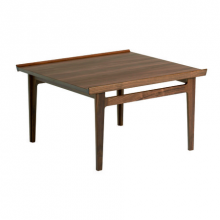 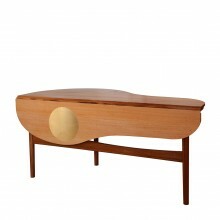 Finn Juhl (1912–1989) was the first Danish furniture designer to be recognized internationally. 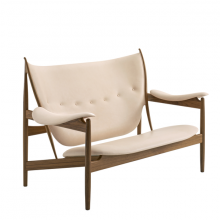 He studied architecture at the Royal Academy in Copenhagen and with Danish architect Vilhelm Lauritzen, but as a furniture designer he was self-taught, a fact he always emphasized. 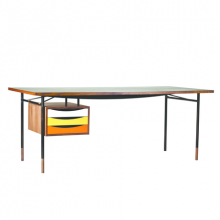 Juhl began designing furniture in the late 1930’s, in the beginning mostly pieces intended for himself, but after setting up his own office in 1945 he soon became known for his unusual, expressive and sculptural pieces. 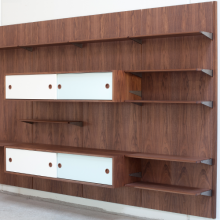 He initiated a collaboration with master cabinetmaker Niels Vodder, and caused a stir at the annual Cabinetmaker’s Exhibition with designs clearly influenced by modern, abstract art. 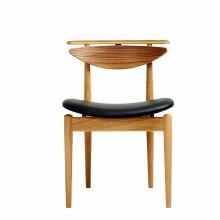 Compared to his contemporaries, Juhl placed more emphasis on form and less on function, a serious break with the tradition of the Klint School. 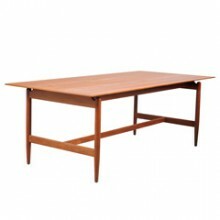 Finn Juhl’s first American assignment came in 1951 when he was asked to design the interior of the Trusteeship Council Chamber at the UN headquarters in New York. 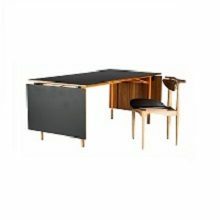 An overwhelming task for a rather inexperienced, young architect, but Juhl gained much praise for his result. 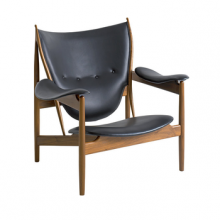 This first experience in America and the contacts made in connection with it, later proved valuable for many Danish architects, because it paved the way for the notion of ‘Danish Modern’ to become internationally known and valued. 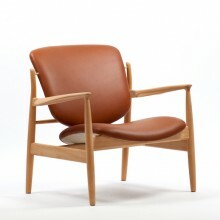 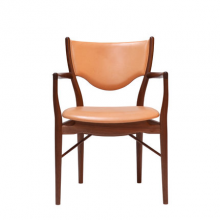 One of Finn Juhl’s most well-known pieces is the “Chieftain Chair”. 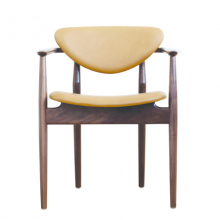 Designed in 1949, it is a fine example of Juhl’s great idea of separating the sculpturally shaped seat and back from the wooden frame. 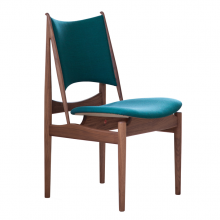 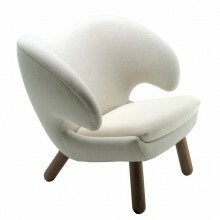 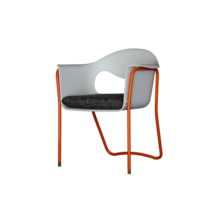 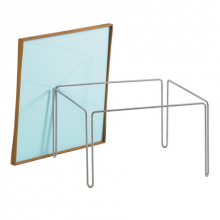 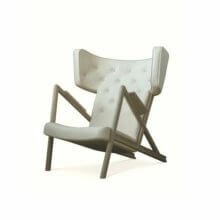 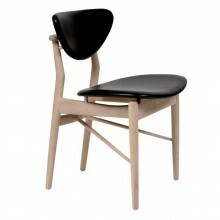 The same principle is evident in the “45-Chair”, designed in 1945. 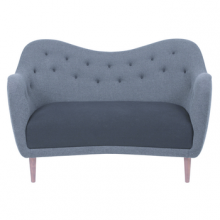 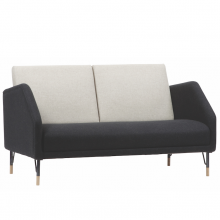 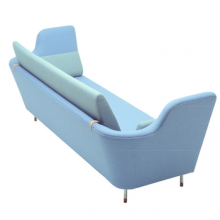 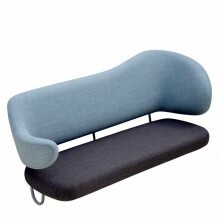 Here, emphasis is laid on the elegantly shaped armrests.